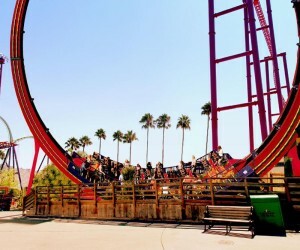 What goes around, comes around, and in the case of the new Dare Devil Chaos Coaster opening at Six Flags Discovery Kingdom, guests will find an exciting new thrill ride guaranteed to get their adrenaline pumping. Dare Devil Chaos Coaster is a single looping coaster that builds anticipation as riders seated back to back travel backwards and forwards until momentum takes them at top speed revolutions, only to stop upside down at 70 feet high and reverse direction. Cursed by the sinister song, guests can amp up the fear at Howl-O-Scream 2014 and take advantage of the best way to survive the Curse with evil upgrades. Conquer every terrifying corner of Howl-O-Scream 2014 with all-inclusive VIP Packages, which include event admission, a tour guide and a choice of three levels of terrifying special treatment. All tours include commemorative photos, merchandise discounts and complimentary beverages. 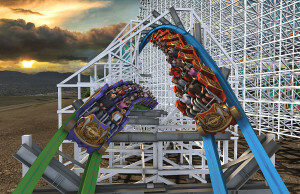 Packages start at $99, and Busch Gardens Tampa Pass Member discounts are available. 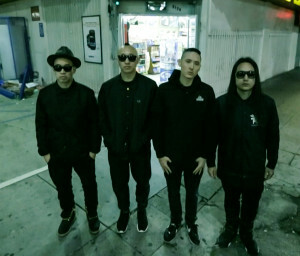 Hip-hop group Far East Movement and World of Dance, featuring wildly-popular dance crew JabbaWockeeZ, celebrate the final weekend of Universal CityWalk’s free summer Music Spotlight Series at the 5 Towers stage on Thursday, August 28 and Saturday, August 30. 5 Towers stage at Universal CityWalk is Los Angeles’ free premier open-air concert venue which is host to a multitude of performances by some of today’s most influential artists, including Jason DeRulo, CeeLo Green, John Legend, Justin Bieber, Carly Rae Jepsen, Ludacris, Tyrese Gibson, Wiz Khalifa, 2 Chainz and Good Charlotte. This Labor Day weekend, Friday August 29 through Monday September 1, Knott’s Berry Farm will offer a sensational lineup of live entertainment, made-to-order BBQ in Calico Square and dozens of signature attractions the whole family can enjoy. Knott’s Soak City will also join in on the weekend celebration with open-air BBQs, splash-tastic water slides and a cool lazy river in which to relax and enjoy. 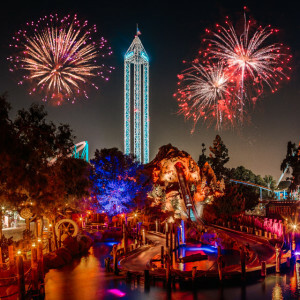 The special Labor Day weekend-only entertainment serves up family fun for a variety of ages and interests, including a spectacular Labor Day Sunday fireworks show. On August 31st, the Park’s skyline will glow with a brilliant fireworks show that can be seen for miles. Open-air BBQ grills in Calico Square will offer sizzling delectable fare. Guests can also take a journey through the newly refurbished Calico Mine Ride, and stroll through the Park’s Old West Ghost Town or hang with the PEANUTS gang in a fresh Camp Snoopy, the land of high sierra fun!